Hydraulic cylinders are controlled by inverter motor. It is good reaction,and realized energy safe and stabled ram control. The invertor motor controls pump speed, and the servo valve controls oil flow at most appropriate level. The machine has excellent energy saving property. And it can process a wide range of works, from thin to thick plates. 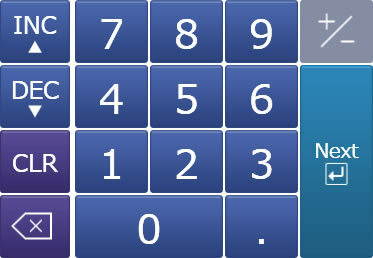 By changing a large-size numeric keypad, inputs without mistakes. And can check the input values quickly. The size of buttons and words has been changed to the best size for touch input. The screen layout has been desighned easy to see. The buttons and icons has been desighned for easy to understand,and three dimensional. By Gloria Blue design, it expresses calmness and Komatsu brand. Ｉnverter motor is driven at more higher r.p.m than conventional, oil flow is properly controlled at increase and decrease from pump and no useless motor running,so it is realized to reduce electricity. Die distance directry controllse by linear scale. Almost no effect from load-induced side frame defection,and accurate ram positioning is attained irrespective of requisite of requisite load. 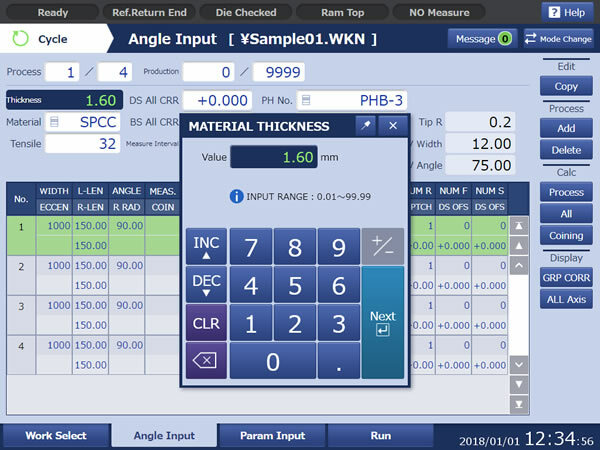 By　enploying NC control for the angle controller, each process is automatically set. This shortens the setup time significantry. 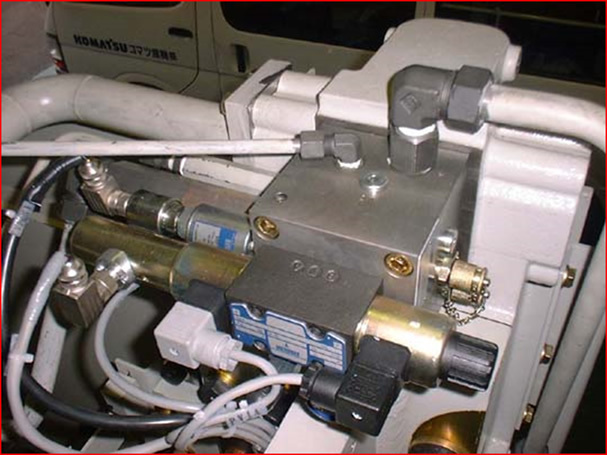 Servo valve is fixed on the hydraulic cylinder. 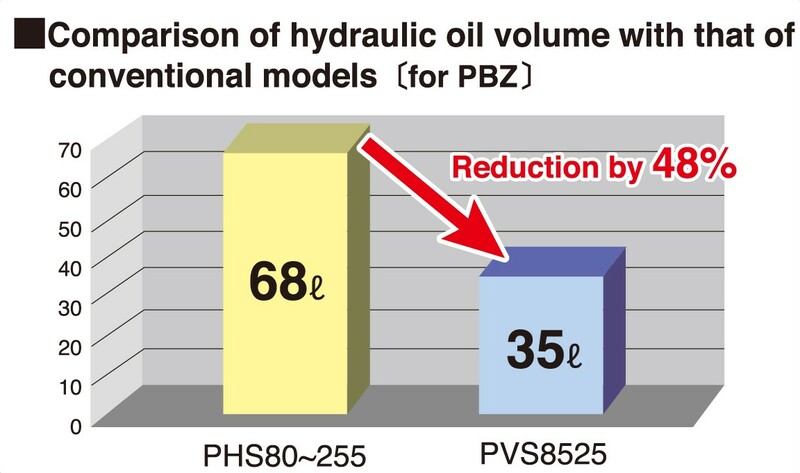 Volume reduction of compressed hydraulic oil is so limited that PBZ has good repetitive accuracy of dead point. Only uses the minimum quantity of hydraulic oil just need for working. The servo motor is only active during ram cycling, so as to prevent the hydraulic oil from heating up. Therefore PBZ saving energy is the machine for each consciousness. 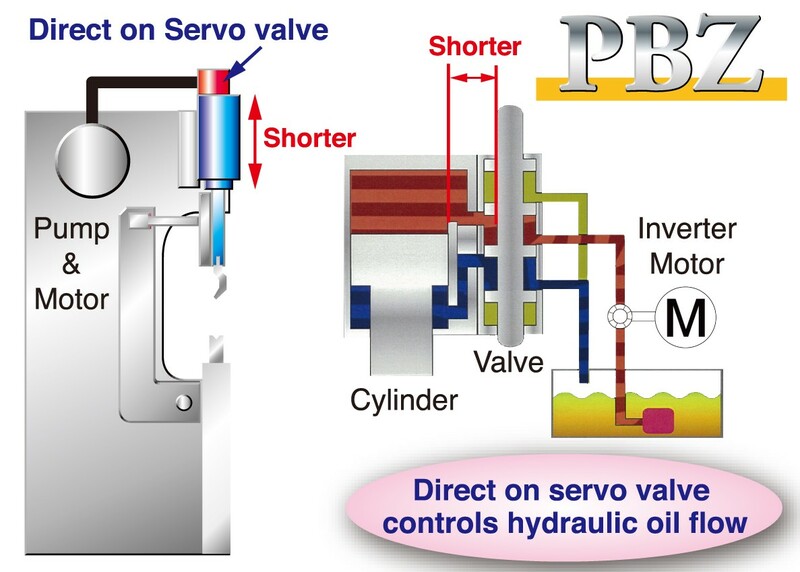 Servo valve is fixed on the hydraulic cylinder. Time for ram stop in an emergency is extremely shortened. Ram movement can be controlled strictly because of the monitoring system for servo valve spool position. 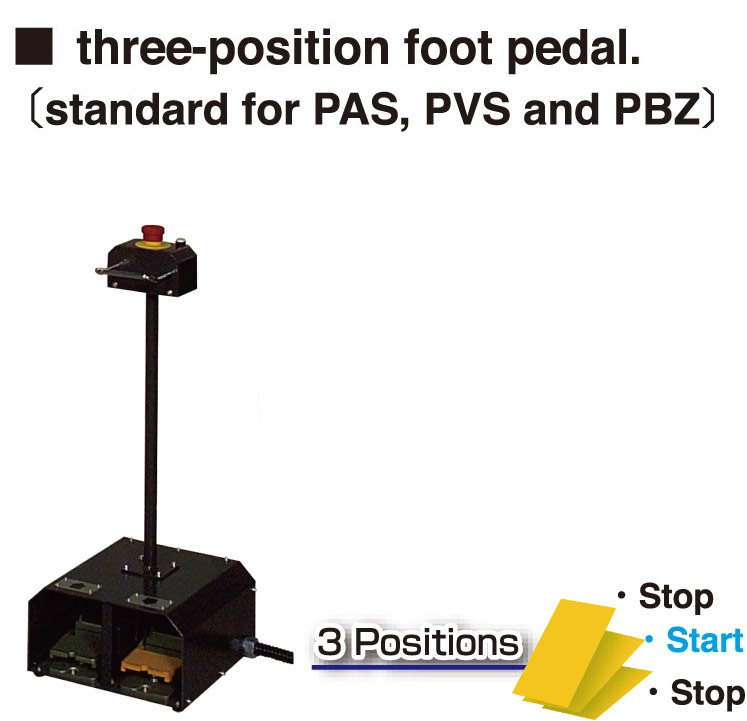 Standardized double-action & three position foot pedal. The tablet simulator (option) improves operability. The tablet simulator (option) has bending CAM.It can be used in front of the machine and in other scene. 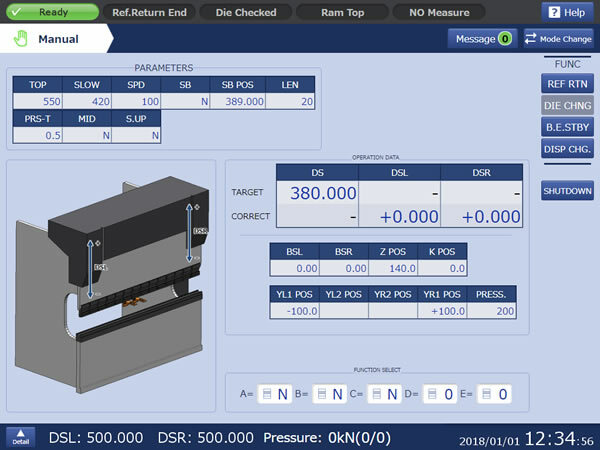 The tablet simulator (option) can create and modify bend data on inline and offline. Sync mode：Can create and change bending data at the site. and can bend while checking 3D simulator. 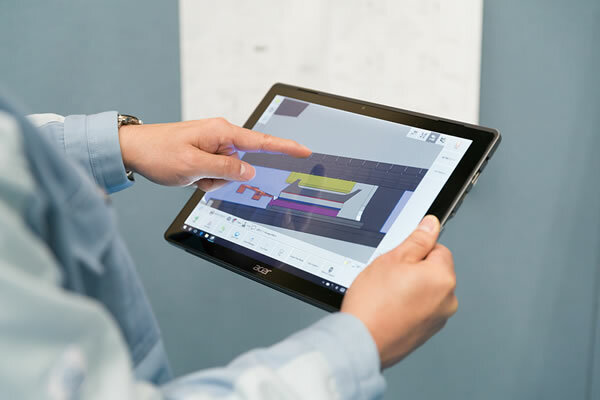 independent mode：Removing the tablet simulator even while using the machine, can create and simulate bending data while viewing drawings at offices and other sites. Easy operation for punch changing. It shortens time to charge punches. Clamp & Unclamp by Lever. Bevel shot protocts punches from dropping. Separate punches attached & removed up-and-down by Slide mechanism. Shortened time for the correction of bending angle. 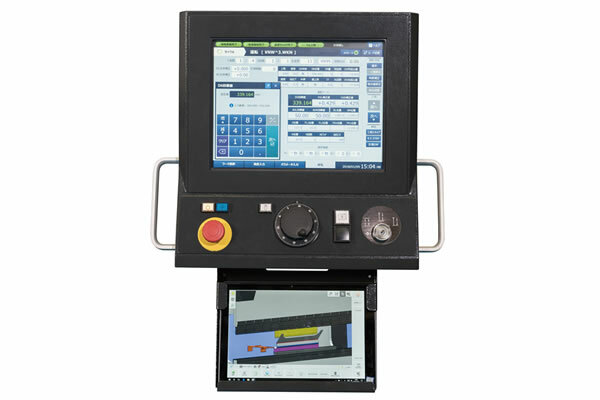 Bending angle is automatically adjusted by Laser Beam used and non-contacted type bending sensor. It can be shortened set up time with adjustment of bending angle by no influence of material deference. 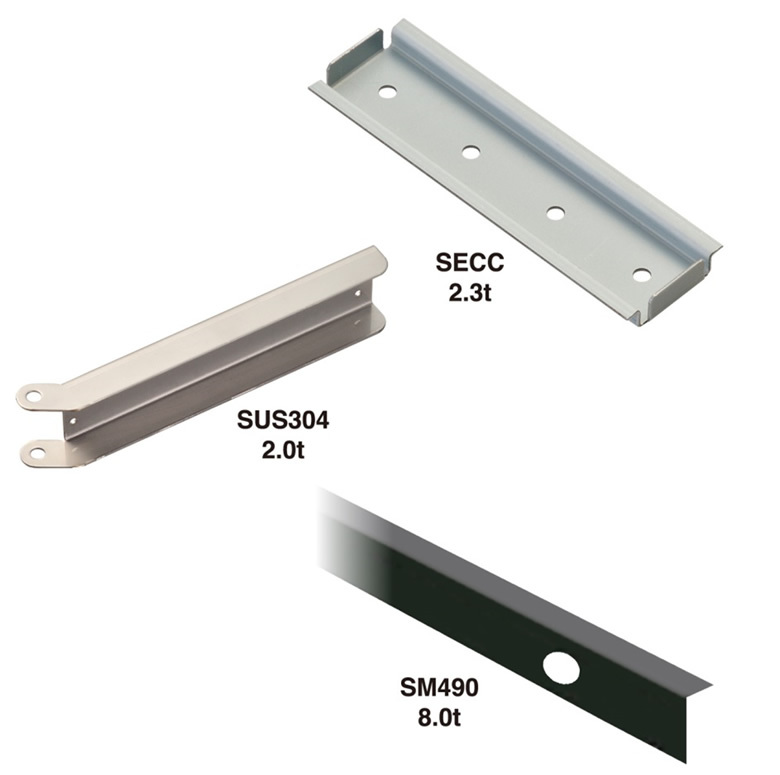 from Sankyo Manufacturing Co., Ltd.
Sankyo Manufacturing Co., Ltd. manufactures a wide variety of products such as conveyance equipment, plant equipment, semiconductor equipment, food machinery, etc. 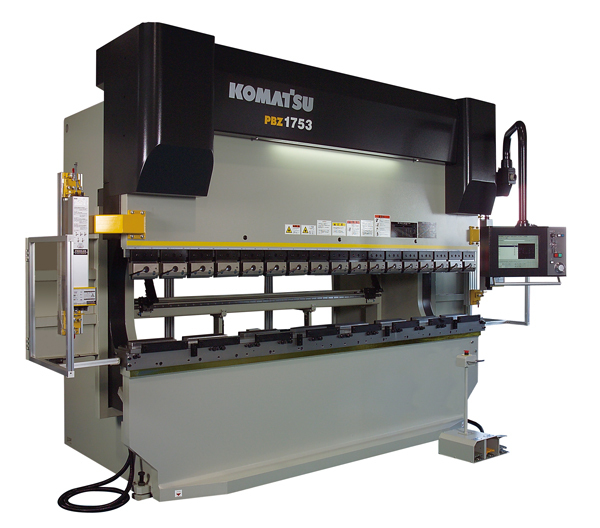 from cutting to bending, welding and assembling. 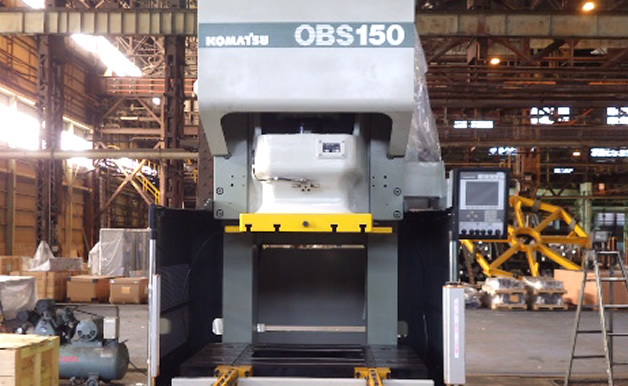 PBZ 1753 NET with 2-axis bending eye was delivered in May 2016 for bending of long stainless steel material. 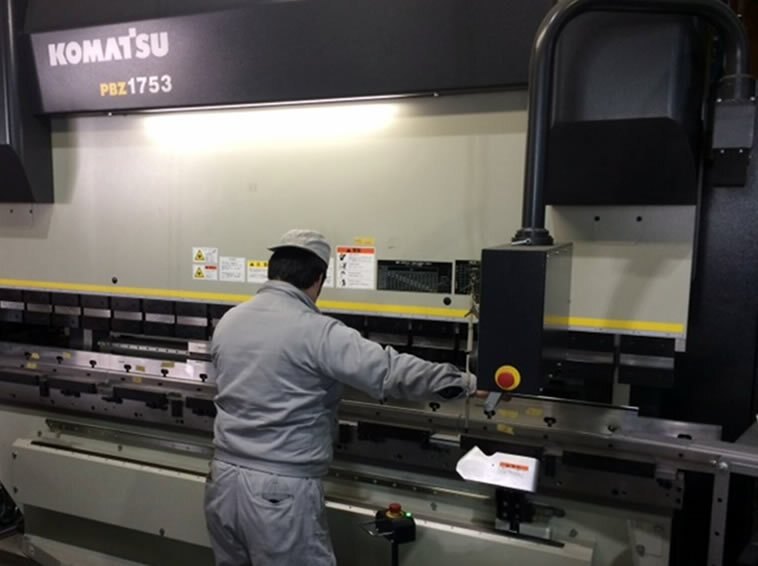 Before using PBZ, it pressed many times with the old 3 m brake and hit with a hammer to obtain bending accuracy. 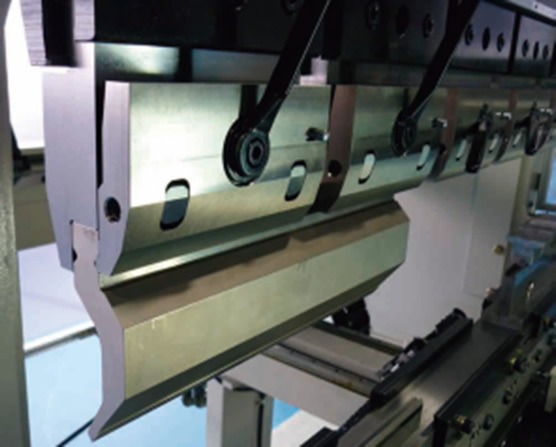 But using PBZ's bending eye makes the bending of long stainless steel accurate without any trial. 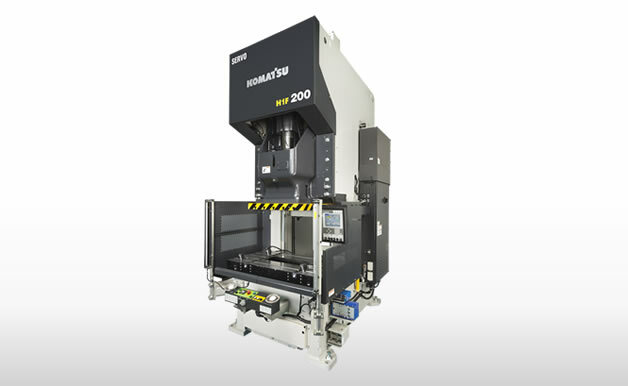 It is highly evaluated that the time taken for the bending process has dramatically reduced. 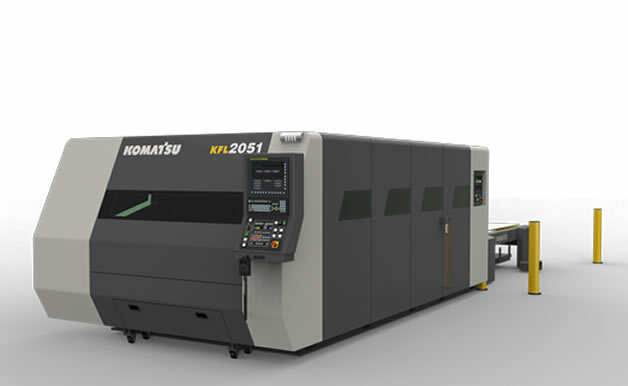 Copyright© Komatsu Industries Corp. All rights reserved.